Here at the Commercial Cleaning Company, part of our business is the cleaning and restoration of your floor to an exceptional finish. Our staff have many years combined experience in domestic and commercial hard floor cleaning and sealing and know exactly the service level that you expect. Our business practices are carried out to the very highest standard and we promise to provide you with a cost effective cleaning solution regardless of the size of the property. 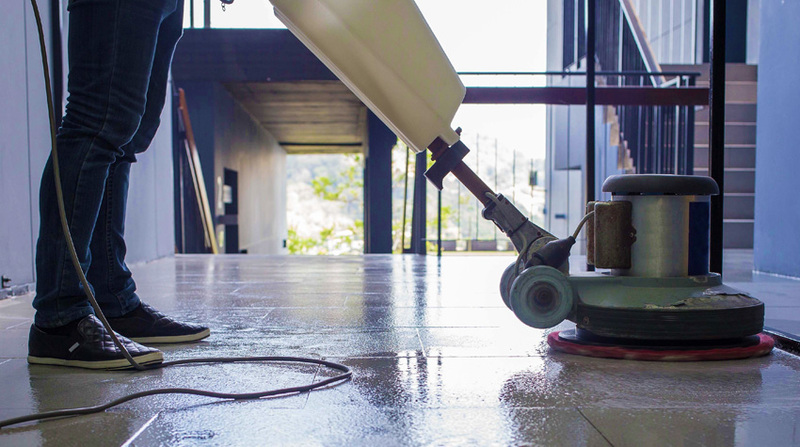 There are various types of hard floors available today and cleaning slate floors, limestone or natural stone flooring requires a completely different method from hardwood floor cleaning. That's why it is essential that experience, knowledge and technique are always combined to ensure the best results.